He began his professional career in FIFA in 2009. For the whole duration of his career he has been a captain of numerous teams and took high places with them not only in Russia but also in the whole world. 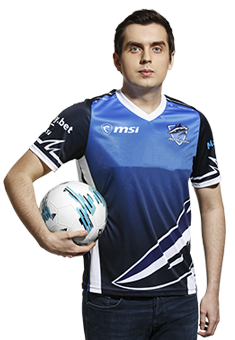 In 2011-2016 he has been inactive but then returned to the pro-scene in 2017 to prove that he is still able to take high places on different tournaments.